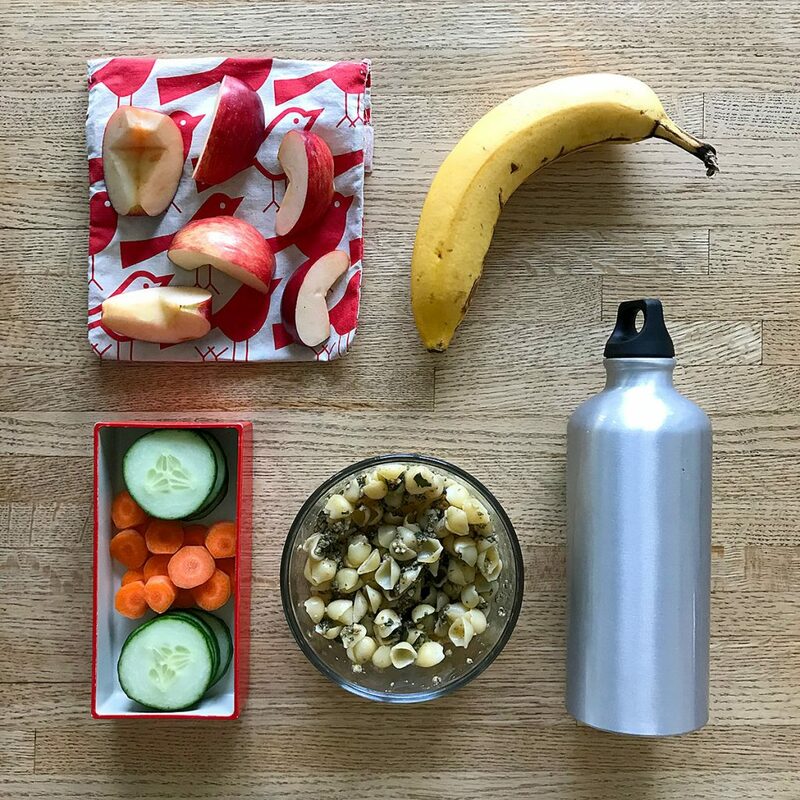 Packing a zero waste lunch doesn’t have to be hard or time-consuming. Here’s what I packed my son this morning: vegan pesto with bulk pasta (dinner leftovers), fruits and veggies (purchased package-free) and water bottle (bought thrift). When I make dinner, I make two extra servings so I have enough for both our lunches the next day. After dinner, I pack his leftovers directly into the storage container he’ll be bringing to school. In the morning, I just add fruits and veggies for a quick and healthy lunch.